2-3 Prenatal visits to discuss birth wishes. Unlimited support throughout Pregnancy and into early postpartum via phone, text or email. On call 24-7 for two weeks before your due date until the baby arrives. Labour support for the entire duration of labour, from the time you invite me to join you until after baby has fed and everyone is settled. Provide a Back-up Doula in case it is required on rare occasions. 1-2 Postpartum visits to review birth and answer any questions. Deposit covers prenatal visits and secures yours place in my schedule of 3-4 clients monthly. This Deposit acts as a non-refundable retainer fee. Extra Travel fees for services outside of the town of Olds will be added as discussed at your no-obligation interview. *Payment plans available and I am also open to negotiation and bartering. My passion is to make sure that every mother who wants a Doula can have one regardless of their situation. My services are complimentary if you are under 18 and looking for support for your pregnancy and birth. Special arrangements have also been set up for clients referred to me through the CAPCC. Please contact me if you are looking for this service. 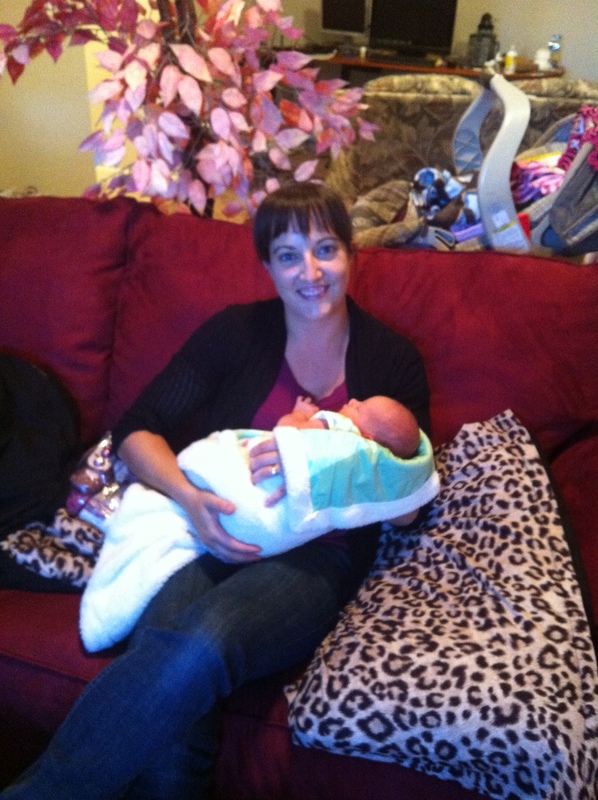 A postpartum cuddle with a sweet little babe! 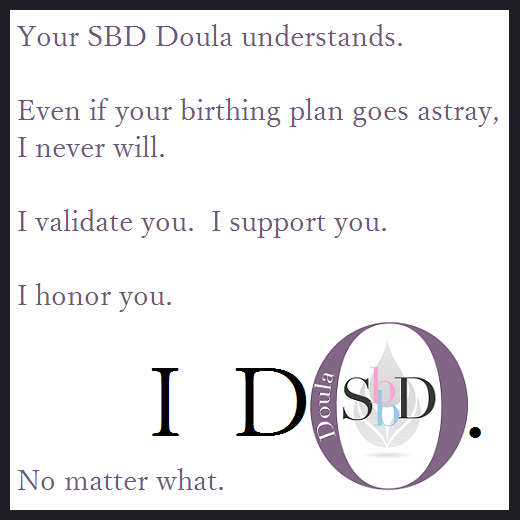 Newly certified through StillBirthday as a Birth and Bereavement Doula. Please visit my new website www.clddoula.com for more information and resources for this service. The services provided are unique for every situation as each has different needs. I come along side to provide you with what you wish and adjust my services as required. In home visits for listening and discussion. Labour support for birth in any trimester with any outcome. Resources and options to local and online supports. Bereavement and Loss support before, during and after as you desire. Support group facilitation for parents, family, friends and care providers. Services are provided for a donation towards Caring Arms, a fund which I will use to help reach those whom need the support of a Doula in their journey of Bereavement or Birth. Donations can be made in memorial. Mother Blessings or Baby Showers will fill with colour and laughter as everyone shares in the joy of movement and Dance to wish the new mother well. Want to bring surprise fun to the day? Or get everyone up and moving with some jingly coin scarves? This is a great way to add to a celebration that is fun for everyone and one that they will remember. Cost to book $50 -$100 depending on length of session. Why: My passion for being a Doula pulled me away from my other passion of Bellydance. I previously taught beginner and intermediate Bellydance classes and professionally danced with a troupe in Airdrie, and knew the benefits of Bellydance for pregnant moms, but my growth as a Birth Doula pulled me in a new direction until now that is! Finally a class that combines both my passions allowing me to share even more information and benefits of Dance and Childbearing to women like you.